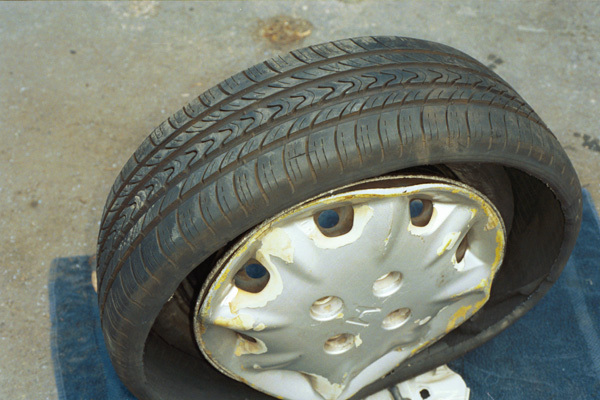 Photos of Dr. Fitzgibbons' slashed tire & car crash. 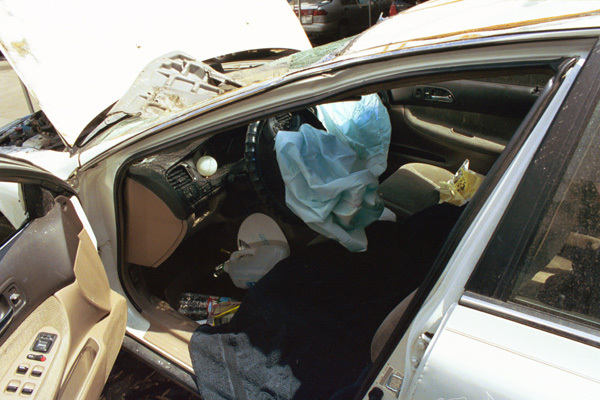 The crashed car picture is of my daughter's Honda Accord, whose tire was slashed July 21, 2006, and which flipped over on the freeway when the tire failed catastrophically. 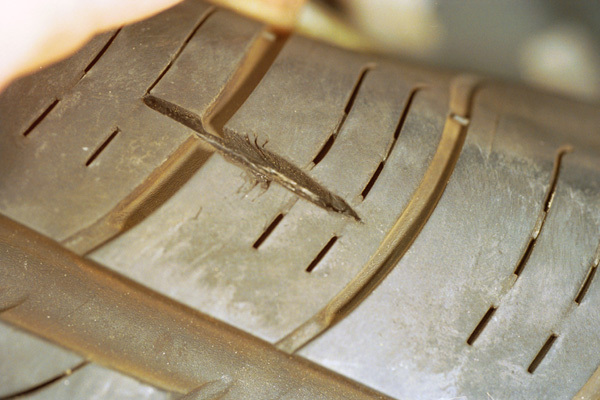 The tire was slashed. 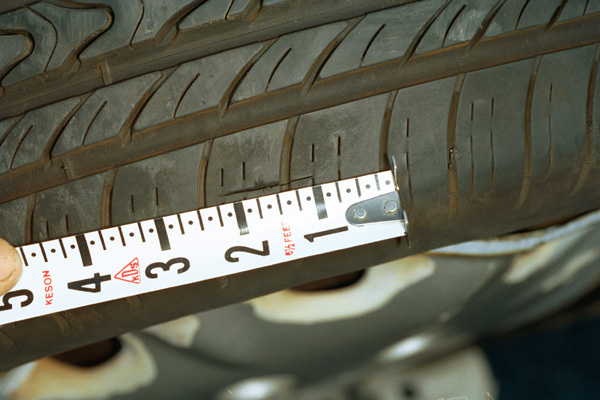 They were taken by forensic auto expert Ken Zion, who concluded the tire was not damaged by a road hazard. 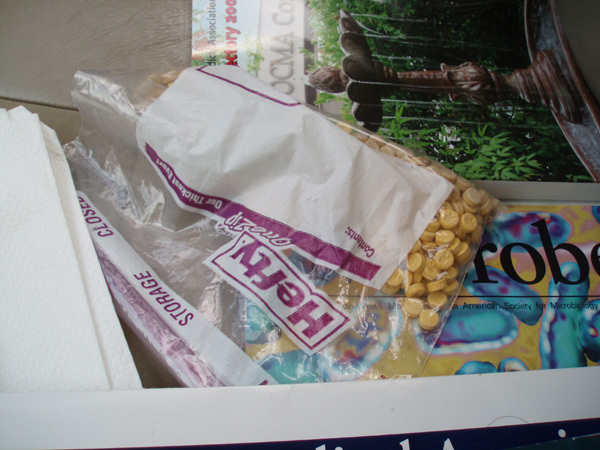 As you will see there is one picture of the bag of drugs placed in my car on or about June 28, 2006. 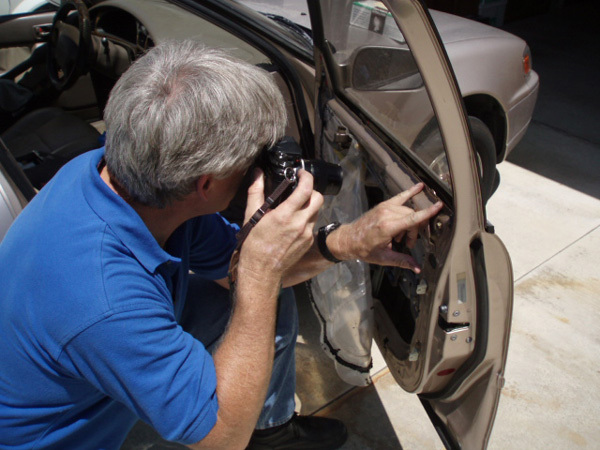 The picture of the man next to my car is forensic auto expert Forest Folck, who examined my car July 2006. 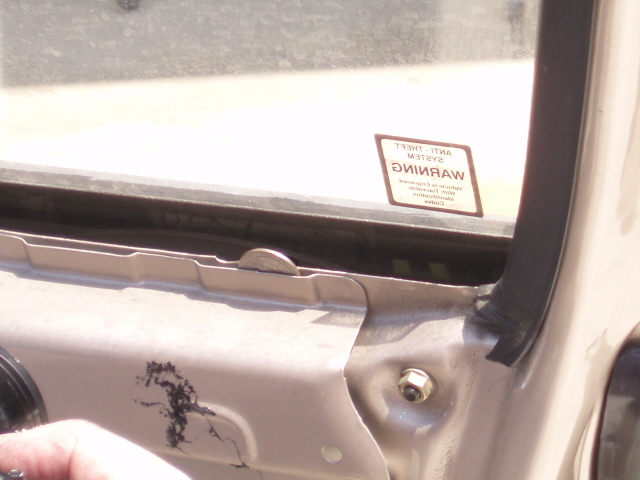 The picture of the car door identifies the violation of the dust trail indicating where the 'slim jim' was used to open the door.